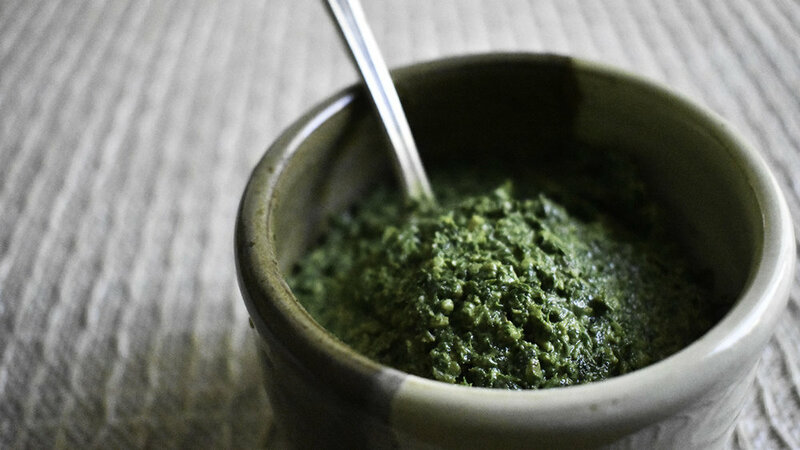 It was a great day about a year after I turned vegan when I found the secret to pesto without Parmesan cheese. It’s miso. That subtle nutty, umami flavor was at last achieved in my favorite pasta topper! I will be forever grateful to the Candle Café Cookbook for this discovery. I’ve tweaked their recipe over the years, including eliminating the oil, and now claim this as my own. Add remaining ingredients and process until desired smoothness is achieved.